The complexity of the human body makes it important for it to intake equally complex compounds for sustenance. Fortunately, science has managed to narrow them down into two main categories: Micronutrients and Macronutrients. With the subcategories and all the nutrients identified, it’s easy to figure out a nutritional deficiency if someone is suffering from one. That’s when the nutritional supplements come into play. Usually, macronutrients should not be a concern for most people with an access to a stable supply of food. It’s the micronutrient that falls short due to an imbalanced diet. Although the human body requires a very trivial amount of micronutrients for complete functioning, and imbalanced diet is a real threat to its well-being. Some of the complex micronutrients, like vitamins, are actually produced in the body and the compounds in the food are what helps their production. As for the minerals, they are the most basic chemical elements that can’t be manufactured by your body. Iodine, Calcium, Zinc and the likes are all necessary for different functions. And then we have Magnesium. It’s not only important, its deficiency can lead to severe conditions like higher blood pressure, osteoporosis, heart disease, diabetes and a lot more. So, if your magnesium levels become too low, magnesium supplements would be one way to replenish that and bring you back to health again. While brand names like Apple and Microsoft might be familiar to everyone, the supplement brands are unknown to almost everyone. So, when you need to have some supplements, you might be left standing at a crossroads, staring at the countless options that are available; scratching your head on what to buy. Well, don’t you worry. We got you covered with our review of the best magnesium supplements. It’s difficult to trust someone else’s words when you can’t even trust what you’re reading on the label. Here at Supplemania we understand that sentiment because even we’d be a bit skeptical in your situation. So, we believe that we owe you an explanation on why you should take our reviews seriously. We are experts – Our team consists of a Physician, a Biochemist, a Nutritionist, and a Beauty expert. We have the specialists who understand the nutritional requirements of the human body as well as people who know what those hard-to-understand ingredients are and do. We are experienced – We have been running our methodical research on different fields of chemistry and science for the past five years. We understand the extents and limitations of these products and we aim to bring them up without holding anything back. We are neutral – Our website is neither endorsed by any specific supplement companies, nor are do we have a preference for a specific brand here. We had a lot of people involved in the process and our volunteers are from a random group of users who were willing to try out the products. The involvement of this many people automatically removes any subjective views. We came to our conclusion after doing an analysis of our collected data for over 36 hours. We have selected and picked only those magnesium supplements, which actually help people in easing their stress, anxiety, muscle soreness, joint pain and a lot more. With that out of the way, we believe we are ready to move on to talking about why one should take Magnesium supplements and what things to take care of. Magnesium is an essential element for the development and maintenance of our bone structure. Along with Calcium, Vitamin D and some other compounds, Magnesium helps maintain the normal bone structure in the human body. However, its uses are not solely revolving around bone structures. It, in fact, can help you increase your stamina and endurance. It’s an essential element for managing the Blood Pressure, blood sugar levels and improve blood flow. Laxative: Magnesium can work as a laxative and also aid in preparing the bowel for different medical procedures. Digestion: Magnesium is great as an anti-acid and helps cure heartburn and its symptoms. Magnesium Hydroxide is one of the most popular antacids out there. Support Organs: Magnesium is useful for the treatment and prevention of magnesium deficiencies. These deficiencies usually occur due to some liver disorders, vomiting, and diarrhea, heart problems, kidney disorders, etc. That’s why medical professionals would always advise a patient with these organ problems to take Magnesium as a restorative support for these organs. Blood Pressure Control: Injecting magnesium is a widely used solution for high blood pressure among pregnant women and for eclampsia treatment (which might lead to the development of seizures if left untreated). Apart from the above confirmed uses of Magnesium, they are also considered as a treatment for Heart Diseases, Asthma, Pains caused by surgery or nerve damage, Cerebral palsy, CFS, COPD, Cluster headache, Colon and rectal cancer, Cystic fibrosis, Diabetes, Fibromyalgia, Hearing loss, High cholesterol, Metabolic syndrome, Osteoporosis, PMS and Constricted Blood Vessels. Spinach leaves: All greens are filled with essential vitamins and minerals. Spinach is no exception: they are a great source of magnesium. 200 grams of boiled spinach has approximately 157mg of magnesium. Quinoa Seeds: Quinoa seed can be cooked and eaten the way one would eat rice. It comes with many health benefits due to consisting of high protein and minerals. A cup of cooked Quinoa can give you 118mg of Magnesium. Almonds: Almonds come with a lot of health benefits, including being great for your skin. But it’s also filled with Magnesium. One ounce contains approximately 80mg of Magnesium, which is about 20 percent a person’s daily recommended intake. You can toast the almond and add it to a variety of dishes if you’re uncomfortable with its raw taste. Cashews Nuts: All form of nuts comes with great benefits. Apart from Almond, Cashews are also a great source of Magnesium. Each ounce has 74mg of this mineral. Eat cashews nuts raw or feel free to add them to a salad as a side dish. Black Beans: Beans are a great source of nutrients, but if we’re considering only magnesium, these black beans will come out on the top. One cup of Black Beans come with 60 mg of Magnesium. Edamame Beans: Soybeans that are still in their pods are known as Edamame Beans.You can steam them, boil them or add them to a dish for consumption. A cup of cooked edamame beans with the shells on comes with around 100mg of Magnesium. Peanut Butter: Two tablespoons of this will contain 49mg of magnesium. So, if you like peanut butter and jelly, you’re in luck: You’re not going to be deprived of Magnesium anytime soon. Tofu: Tofu makes for an excellent substitute of meat. If you’re a vegetarian or someone to switch things up a bit, you may just get rid of the meat and opt for some Tofu. One cup of tofu comes with an approximate amount of 74mg of Magnesium. Sesame Seeds: These are used in different kind of Asian and Indian dishes. They’re also great on top of buns. They can add some extra nutrients to your meal when added. A tablespoon of it comes with 32 mg of magnesium. One of the common side-effects that our users have reported after using magnesium supplements is an upset stomach. Different users have reported different variations of this problem in the form of nausea, vomiting, and diarrhea since almost all forms of these supplements provide a laxative effect. Milk of Magnesia (Magnesium Hydroxide) and magnesium citrate, among other supplements, are commonly found as over-the-counter products the treatment of constipation. Luckily, if you’re going for a magnesium supplement for reasons other than curing constipation — like when your magnesium levels are too low, the market has a lot of different types of magnesium supplements that can lower the risks for diarrhea. Don’t worry, we’ve taken that into consideration while creating this review and have categorized the supplements based on their usage. As we have discussed in the benefits of magnesium section, magnesium is one of the elements that are the keys to regulating blood pressure. So, it’s absolutely essential that you keep that in mind when taking magnesium supplements because an overdose can severely lower your blood pressure, causing muscle weakness, fatigue, drowsiness, hypoventilation and sometimes, even death. Getting the correct amount of magnesium from supplements is absolutely essential, if your magnesium levels are low. However, you need to be aware of the fact that magnesium overdose can lead to elevated levels of magnesium in your blood. An overdose of magnesium can even result from taking antacids or otc laxatives. Some cases of magnesium overdose have been found even with people gargling or ingesting epsom salts, which is, magnesium sulfate. So, it’s always better to know the correct dosage and follow the usage instructions properly. When in doubt, consult a physician. If you’re suffering from kidney diseases, you should, under no circumstance, take magnesium supplements without consulting your physician first. Magnesium has been known to react with different types of medications such as anticoagulants and pancreatic drugs. Because of this, the user would sometimes be required to take these medicines at least two hours apart from these and several other generic medicines such as antibiotics. Some antacids, those that don’t contain magnesium, can sometimes reduce the effectiveness of other magnesium laxatives. Some users of magnesium products like magnesium creams, oils, and sprays that need to be applied directly onto the skin, have reported to have cases of skin irritation. Please discontinue using such products if you see such reactions. In order to select our best magnesium supplements, we had to go through over 30,000 user reviews on different products, in order to determine the benefits, uses, and side-effects that its users have reported on several occasions. We have analyzed over 50 different products, made for different purposes, treatments and in different forms before shortlisting 23 supplements. During our product research, we have visited all of the 23 products’ manufacturer’s websites, instruction manuals and spoken to their representatives (when possible). Next, we went through their descriptions on different store pages like on Amazon and Walmart and also read their individual critic reviews to determine the benefits and side-effects of these products. At the same time, our researchers did a side-by-side comparison of the different brands and their products to determine the brands’ trustworthiness. Finally, we compared the reviews of the volunteers and cross-referenced them against the research data that we have gathered from the web. With all of the data in hand, we came up with the best 10 products to present to you in our review. All supplements clearly state their side-effects and a disclaimer on the packaging and on their website. Remember: not all supplements are suitable for all people and they may affect you in different ways, especially if you take more than the suggested dosage that has been stated on the packaging. You must read the labels carefully before taking any supplements. Warnings & Side Effects: All dietary supplements come with some sort of side-effects. Even the best magnesium supplement brand ships products with one form of side-effect or the another. So, we have selected products for our top ten whilst being aware of these side-effects. We have tried to only select the products that had the lowest number of side effects and those which are the least severe. Sometimes, these side-effects can be subjective. Some of the side-effects that one user may have reported, others might not ever encounter them. These side-effects are usually related to some form of allergies. As such, when one may have an allergic reaction that others might not. Therefore, one may even never encounter the side effects that are stated on the packaging. It’s imperative to know that if any severe side effects manifest while you are taking the supplement then one should immediately discontinue the usage and consult a doctor as soon as possible. The FDA (the U.S. Food and Drug Administration) does not control or assess the efficiency of any supplements before they are marketed. To determine our top ten products, we have considered 26 features of the 23 supplements for evaluation. These features provided us with an analytical basis to help us shortlist the best magnesium supplements on the market. We have taken these features from the product specification sheets and the product manuals. We considered the prices of the products to find the best value per dollar for them and considered the product’s life cycle from the frequency of its reviews on Amazon in order to eliminate any unpopular products. We won’t trust any products that its users don’t, because we are dedicated to bringing all the users the best magnesium supplements review. Asutra is dedicated to manufacturing all natural, organic products. They aim and market their products towards the health conscious people, mainly aiding them with their yoga practices with these supplements. Their supplements are skin friendly, wholesome and made from responsibly sourced ingredients. Asutra uses only therapeutic grade essential oils and is strictly against the usage of synthetic fragrances, dyes, petroleum-based ingredients or parabens. Asutra clearly mentions all their ingredients on the label so that their users know exactly what they are taking. All of Asutra’s products are made by hand in the US. They gather all of their raw ingredients locally and then proceed to prepare and package all their products by hand. This ensures a high level of quality and control. 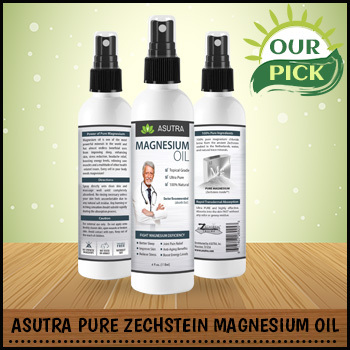 Asutra Pure Zechstein Magnesium Oil Spray is mined from the ancient seabed of Zechstein – the one rated to be the purest source of Magnesium Chloride in the world. The Magnesium Chloride found here have been accumulated over 250 million years, 1500 meters below sea level, at the clean Zechstein Seabed, Netherlands. With the seabed unadulterated by pollution, the Magnesium Chloride remains pure, and thus provides the least amount of stinging sensation on the skin, compared to its competitors. Containing only the finest source of magnesium, this spray delivers a pure, pain free deliverance of magnesium for joint pain, migraines, insomnia, & even deodorant! It’s versatile & so easy to use. This product will be extremely beneficial for people with sleeping disorders like insomnia. It is known to provide all kinds of pain relief from different issues like migraines, joint pains etc. It has a calming effect on your restless legs syndrome. This product also helps reduce stress and brings balance to your body. This Magnesium oil, when applied directly, can improve your nails, hair, and teeth. It can be diluted and used as a natural deodorant. For optimal results, spray onto your arms and legs for increasing the surface area for better absorption and rub it with some pressure, into the skin. If you feel a slight sting or itch upon using it, which is normal. You can dilute it with 1 part water and 1 part of the oil to create a 50% strength solution. On an average, we estimate each spray to be about 20mg of pure magnesium. The recommended dosage is between 5-20 sprays depending on your body’s needs & tolerance. It is suggested to start slow if this is your first time using a transdermal magnesium. Several users have reported to have itching and stinging sensations on the skin. In fact, even the manufacturer is aware of this issue and has cautioned the users about it. Apart from that, some users have also reported some cases of rashes breaking out after using this product. Although this could not be properly verified, some of the users have also reported cases of headache after using this product. Why We Chose This Supplement as Our Best Magnesium Oil? After going through over 3200 user feedbacks, we have come to our conclusion about this product’s effectiveness. We took both their positive and negative feedbacks into our consideration and found the general consensus among the users to be mostly positive. With a 15:1 positive to negative feedback ratio, we have concluded that this product has been useful to most of its users. With so many people vouching for its effectiveness, we chose to give it an effectiveness rating of 4 out of 5. When we considered the price per use of this product, we came up with a decent price index. Comparing this with the effectiveness of the product, this product has an average value. Even though there were products in our list that had a higher value, we could not select them as the best Magnesium Oil when we looked into their popularities. This product came with the highest number of user reviews on Amazon. 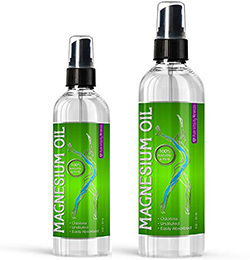 Having a rating of 4.6, it became one of the highest rated products among the Magnesium Oils. It has a great review frequency as well: It got its latest 10 reviews within 4 days, earlier 10 reviews within 3 days and even earlier 10 reviews in 3 days as well (at the time of research). Judging by this trend, we can tell how much this product is selling and how popular it is in the market. You can’t go wrong with a product when so many people are buying them. 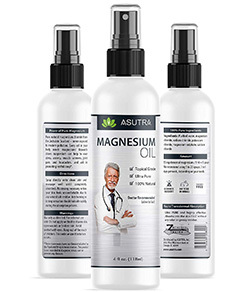 ASUTRA’s magnesium oil comes from pure, naturally occurring brine, straight from the Ancient Zechstein seabed and imported from the Netherlands. They both literally and metaphorically go the extra mile to bring you the best products. Above that, transdermal or external application of magnesium has proved to be far more effective than taking oral supplements. That is why it is the best way to get magnesium through to your largest organ – your skin. The transdermal magnesium bypasses the digestive tract, making the nutrient more bioavailable without overdoing it. Ancient Minerals is a product line that is manufactured and distributed by the company, Enviromedica. Enviromedica has set out with the goal of advancing the principles of Evolutionary Medicine. It’s the principle that believes that throughout history, as we mankind have evolved, so have our physical needs and defense mechanisms. This happened in order for us human beings to adapt to the environment for survival. So, in order to retain our health and achieve vitality, our medicines need to evolve with time as well. With the belief that we have inherited our adaptive nature from our ancestors, connecting us with the world, its different places and seasons, Enviromedica has launched its products to align us to our evolutionary heritage. They provide the purest forms of ancestral resources which have been extracted from pristine, natural reservoirs. Enviromedica strives to provide support for its users in their functional well-being by modifying the contemporary factors that may interfere with the body’s natural adaptive capabilities. Soaking your body in magnesium bath salts has been observed to have a marked improvement in skin hydration, accelerate healing, reinforce skin barriers, and decreasing inflammation. 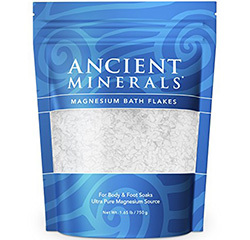 When dissolved in lukewarm water, these Magnesium Chloride bath flakes provide its user with a restorative, medicinal bath, full of highly soluble cell-restoring magnesium chloride. Running a bath with these flakes in means an effective solution to joint pain, aches & even cell regeneration. These bath flakes are convenient to use & above all, affordable too! This product is Ideal for children and people who are sensitive to different products. This is an effective product for relieving your stress and help you relax. These bath flakes, when used, is absorbed well through the skin and soaked into aching muscles and sore joints. These bath flakes have demonstrated highly therapeutic effects for medical conditions like psoriasis, eczema, and several other skin conditions. This product is able to deliver extensive cosmetic benefits upon topical use. Dissolve 1-3 cups or more of the Magnesium flakes into a lukewarm water. Make sure that the water is not too hot otherwise it might lose some of its beneficial properties. Place the water in a foot bath or tub bath, and soak for 30 minutes or more to get full benefits of this product. Our users have reported several cases of raw, burnt skin. The worst side effects that have been reported is that a few of the users mentioned getting rashes on their skins due to the overuse of this product. Apart from that, there has been minor cases of skin irritation. What Makes it the Best Magnesium Bath Flakes? After considering all the 850 user reviews, we noticed that most of our users found this product to be useful and beneficial. With such an overwhelming number of positive reviews at the time of our research, we could easily determine the effectiveness of this product to be the highest among the bath flakes. Even though this product got fewer reviews when compared to the other products on the list, this actually came with an average user rating of 4.8 – The highest in our list. After considering its reviews and ratings, we had to calculate its review frequencies to see the trends and it seems that it got it’s latest 10 reviews within 23 days, the previous 10 in 11 days and even the earlier 10 in 14 days. This shows that at the time of our research, it had a decent review frequency, with 10 reviews coming in within weeks. When we considered the fact that people mostly choose to take magnesium orally or as a oil rather than using them in a bath, this turned out to be a great review frequency. Each packet comes with around 50 uses, considering that you are using about 15 grams of bath flakes from the 1.65 lbs packet. With the price being around $10 during our research, it’s costing only $2 per use. It is also noted on the product website that you might need around 8lbs of bath flakes for intense applications, which would make it an expensive choice, but as of now, we haven’t found any reason to use more than the recommended amount of 15-40 grams per use. 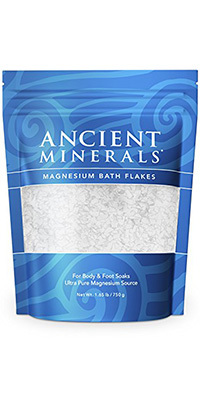 We found that other magnesium bath flakes have an absorption rate as low as only 4%. But these bath flakes are designed for convenient, optimal absorption of magnesium topically. If you’re soaking your whole body in the magnesium bath flakes, they are easily absorbed through the body’s largest organ: the skin. Above that, it’ll bypass any irritation and other such side-effects that can be usually associated with oral supplements. Considering all the factors above, its price, effectiveness, absorption rate, value, and user ratings, we’ve been compelled to give this product a Supplemania Score of 9.5. This is not only the highest score for the Bath Flakes, but also the highest score on our list of top 10 products. 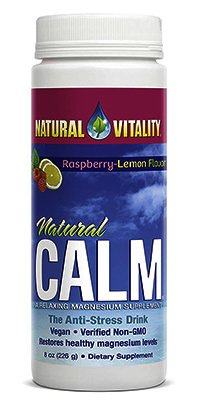 Peter Gillham, the developer of Natural Calm, founded Natural Vitality back in 1982. The company was acquired by the partners Ken Whitman, Susan Whitman, and Justin Farmer in 2008. Finally, sold to Wellnext Health in 2016. This company has been producing the line of best-selling health and dietary supplements, which has been formulated through careful research with visible results. Natural Vitality claims that good and lasting health needs the development of a sustainable, healthy environment with the locally produced food system. This product is a fruit-flavored effervescent magnesium powder with many health benefits. It is tailored to promote healthy levels of magnesium in the blood and balance out the calcium intake — reducing stress and relaxing the body. At the cellular level, one must maintain the balance between magnesium and calcium for stronger bones and reinforcing the skeletal system. Our bodies have been designed to get the required nutrients from our diet. Unfortunately, an estimated 80% of the americans fail to get enough magnesium their diet, while taking an excess of calcium, mostly coming from dairy products and dietary supplements. The day-to-day stress and the excess calcium in our body cause its magnesium levels to deplete even faster. That’s where this product comes in. Deliciously flavoured & most importantly, effective, this drink balances out calcium & is an essential source of magnesium. Drinking a bottle of this will help regulate thought & ward off stress. This product is intended to help the user with restoring their body’s magnesium level to a healthy state and balancing the calcium intake. This results in a calming and stress-relieving feeling. Place the required amount of power in a glass or a mug. Now fill it with 2-3 ounces of hot water. Let the solution fizz until it calms down. Now stir the mixture until it dissolves completely. Once over, add in more hot or cold water, as per your preference and drink. You may also dissolve it in a bottle of cold water, but following the above directions increases its solubility. Each serving should be made with half a teaspoon of the power (1 gram). Once your body starts to adapt, gradually increase the dosage to 2 teaspoons (4 grams). Take the drink once per day. Some users have reported getting different kinds of pain from taking this drink. Reported cases of headaches, stomach cramps, and leg cramps have been recorded. However, the supplement could not be verified to be the actual cause of these issues. What Makes it the Best Magnesium Drink? After analyzing the product and going through 7600 user reviews, we have found this product to have a 9:1 ratio of Positive to Negative reviews. With the reviews being mostly positive, we could not give it an effectiveness a rating higher than 2.5 stars. However, this is the highest effectiveness rating among all the other Magnesium drinks that we have researched, making it the most effective Magnesium Drink. It comes with the highest number of reviews on Amazon. With an average user rating around 4.4 and a great review frequency, this product definitely shows signs of popularity. It got its newest 10 reviews within 3 days at the time of our research. The reviews numbered 10-20 also coming in within 3 days and 20-30 within 3 days. 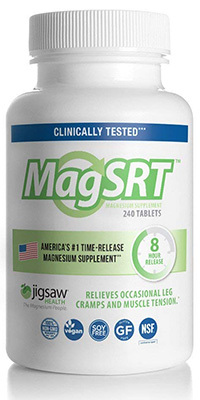 This is the best review frequency among all the other magnesium products. It has a decent value when comparing its price and effectiveness, although not the highest among the list, but definitely the most budget-friendly in terms of Magnesium Drink Mix. You will get 56 servings from 8 ounces of powder, costing around $14, making each glass cost only a quarter. It comes in three different sizes – 4, 8 and 16 ounce bottle and six different flavors – Cherry, Lemon, Orange, Raspberry Lemon, Original, and Watermelon. So, you have the option to choose what you like. With all things considered, we have decided to give it a supplemania score of 8.9. Although these drink mixes and their different flavors are the best magnesium supplements among its category, we just couldn’t give it a higher score due to it having a lower value when compared to the other products on the list. Nested Naturals was founded by Kevin and Jeremy in order to produce the best natural supplements. They were inspired to establish this company when they tried to improve their health and fitness. During that process, they had to use several supplement products as a part of their fitness routine. However, they were hard pressed to find a supplement manufacturer who would be transparent about their ingredients and honest about their products. So, they decided to establish Nested Naturals and create products with clearly labeled ingredients and honest information so that people may choose the product they want for their own wellbeing. 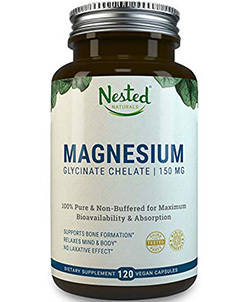 Nested Naturals has produced this Magnesium Glycinate supplement to give its users a reliable and easy way to get the daily recommended blood levels of this essential element. This product is chelated, meaning that it does not have that “inconvenient” laxative-like effect, which is typically associated with magnesium supplements. It also has an absorption rate of 80%, making it one of the most effective and bioavailable forms of magnesium capsules available. The chelated state of these capsules ensures no laxative effects, whilst the expert formulation means you’ll get up to 80% of your recommended magnesium with just one dose of these brilliant capsules. These supplements, characteristic to magnesium supplements, can help you reduce different types of pains. Apart from that, this product is known to relieve chronic muscle cramps, Improve Sleep, Support Physical Fitness, Strengthen Bones, Boost Energy & Metabolism, and Support your Cardiac Health. These capsules are completely vegetarian and can be taken by anyone following any lifestyle or religion. It is suitable for teenagers above 16 and adultes. Suitable for both genders. In order to make full use of this supplement and its benefits, you have to take two vegan capsules once a day on a full stomach. You can increase the dosage to twice a day as well, as per required, however, it is always advisable to take these supplements as recommended by your physician. Several of the users have reported cases of stomach aches, diarrhea, and nausea. As mentioned earlier under the “Possible Side-Effects of Magnesium” section, these are the common side-effects of magnesium due to the effect magnesium has on the human body. It is strongly advised to follow the dosage instructions and take Magnesium in moderation to avoid such side-effects. 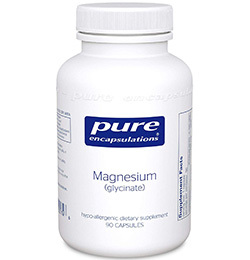 What Makes this Product Stand Out from the Other Magnesium Capsules? Going through a thousand user feedbacks, we have noticed a trend among them. The reviews show an overwhelming number of positive reviews when compared to the negative. 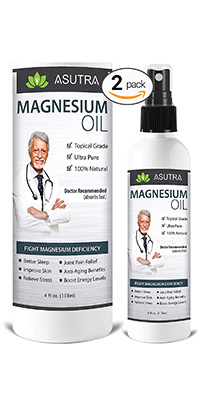 This product had the second highest positive to negative review ratio we have encountered among the magnesium products. But when considering only the supplements that come in the form of capsules, this product outdoes all the others in terms of its effectiveness. You will get two months’ worth of supply from one bottle if you’re taking two capsules a day. With each bottle costing around $20, the price per dose becomes very reasonable. This product gives you the best value for money when considering its price and effectiveness. It also has the second highest user ratings among all the products (4.7). It also has a great review frequency, getting to reviews within weeks. When compared to the magnesium capsules on this list, this comes with the best review frequency. 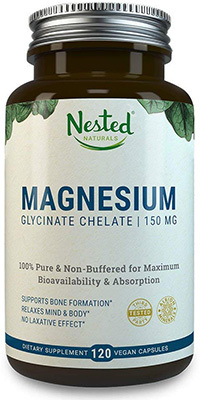 This product is a popular choice among the Magnesium users. 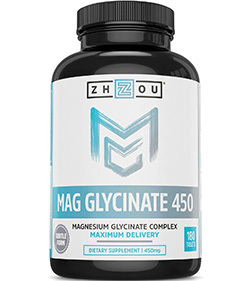 Lastly, we choose this supplements because it has chelated magnesium glycinate. Chelated compounds have the ability to provide maximum absorption rates when compared to the other forms of magnesium compounds. Lastly, this product does not have much of a laxative effect, making it a great product due to the lack of the severity of this side-effect. So, we have been compelled to give this product a Supplemania score of 9.5 due to its effectiveness, value, popularity and the least side-effects, both in severity and count. 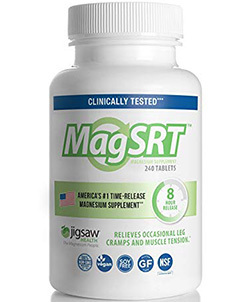 Jigsaw Health’s MagSRT is America’s number 1 Slow Release Magnesium Pill. It has garnered over 1,000 5-star ratings on Amazon, which is five times the number that its closest competitors’. It has been clinically observed to have increased the Magnesium levels in your blood. Jigsaw Health has been involved in developing different science-based supplements since 2005. With a specialized focus on Magnesium Supplements featuring the Sustained Release Technology that controls the slow release of the active ingredients making the body absorb the supplement over time. MagSRT was evaluated by the SMS (Scottsdale Magnesium Study). They conducted a clinical trial consisting of 91 human participants in a placebo-controlled environment. This study measured the Red-Blood Cell (RBC) Magnesium levels, Serum Magnesium, and Magnesium Deficiency symptoms. The results have been published in the JACN (Journal of the American College of Nutrition). If you’re looking for something free from animal products, these tablets provide an effective, safe solution for any magnesium deficiency issues. 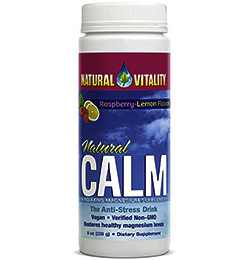 Overall, these tablets will aid in reducing stress & improve bodily function. This product is intended to and does increase the magnesium levels in the red blood cells and the serum magnesium. This product has been tested and known to reduce the magnesium deficiency symptoms of its users by 63%. This product is a dietary supplement and should be taken as such. The average user should take 4 tablets per day on a full stomach (after meals). Divide the doses, if required, by taking 2 tablets after lunch and 2 more after dinner. As always, consult your physician if you’re facing some problems. Several users have reported some cases of headaches and digestive problem. Among the digestive problems, our users have reported getting an upset stomach, problems with acidity and even severe cases of loose motion. A few cases of increased heart palpitations have been observed. What makes these the best among the Tablets? We have taken both the positive and negative feedback from the users from among the 1300 reviews. This product came with the third highest positive-negative review ratio, speaking volumes about its effectiveness. However, among the magnesium tablets, this is, without a doubt, the most effective product on the list. One will get two months worth of supply from a bottle if one takes four capsules a day. With each bottle costing around $39, this might seem like an expensive product at first. But when we’ve considered its price to effectiveness, we found that this product gives the highest value among all the other tablets. It also has second highest 4.7 user ratings on Amazon, but the highest among the tablet forms. This product also comes with a great review frequency with the latest 10 reviews coming in at 5, 8 and 11 days respectively. Compared to the other tablets in the list, this is the most popular product in the list. This is a slow release tablet with active Vitamin B9 (Folic Acid) and the active form of Vitamin B6 (P5P). So, with this product you won’t have to monitor your dosage as the slow release tablets will keep working over time. Apart from that, the added vitamins help yours in absorbing magnesium even better, making it the best product among the tablets. All things considered, this product isn’t getting the highest Supplemania score from us, but it’s definitely getting the highest score among the magnesium pills in the list. We’ve decided to award this product with a Supplemania score of 9.2 after considering it’s popularity, effectiveness, and value. Pure Encapsulations manufacture research-based, hypoallergenic dietary supplements, which are designed in order to deliver the desired results in a predictable way. Pure Encapsulations is committed to bringing in pure and premium ingredients. They are also committed to working with experienced healthcare professionals for creating a safe and effective group of dietary supplements for helping you achieve the optimal health. Pure Encapsulations are here to help you with the tools and dietary supplements that have been suggested by your healthcare practitioners. With their products, thousands of users have been able to achieve their health and fitness goals. With the trusted brand name of Magnesium Glycinate, this Magnesium Glycinate product made it into our list at no. 6. These supplements work to improve the enzymatic interactions within the body, affecting the heart & brain in particular. They’re the perfect solution for any magnesium deficiencies. This product supports the users’ metabolism and helps their bodies utilize many of the essential nutrients. It accelerates the proper functioning of different important enzymatic functions. It aids with different enzymic and physiological functions including neuromuscular contractions and cardiac functions. This product is a dietary supplement. For the maximum effect, the user is to consume one to four capsules per day after their meals. This product comes with a desiccant. To increase the longevity of the product and retain its freshness, the customers are encouraged and advised to leave the packet of desiccant inside the package till all of the contents are used up. Users have reported some cases of flush and diarrhea. Please read the instructions on the labels carefully and read the possible side effects section to learn more about these possible side effects. It’s usually advisable to discontinue using the product if chronic issues begin to manifest. 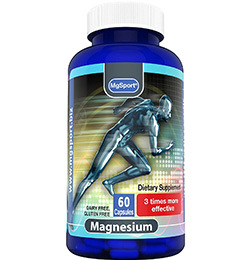 MgSport prides themselves as Magnesium Specialists. All of their products are based on heavily bioavailable, absorbable molecule, and are backed by published works. After MgSport noticed that over 70% of the population around the world are suffering from Magnesium deficiencies, they stepped in to analyze the issue. The deficiencies occur due to people’s eating habits being reliant upon processed and refined foods containing high-starch. These are all poor sources of Magnesium. MgSport’s supplements were specially designed to cater to these deficiencies. They contain a special Molecular compound containing Vitamins E and B6 as absorption catalysts, Magnesium, and Vitamin D.
If you suffer from restless leg syndrome, or are simply suffering the comeuppance of a hard days work at the gym, these supplements may be for you. With a potent overnight formula they’re convenient too! This combination helps improve the absorption of Calcium and Vitamin D, and to strengthen the bones. This special formula assures you a high absorption rate that is definitely superior when compared to the other products. MgSport has an active ingredient that has been proven to be three times as effective as Magnesium Citrate on the cellular level. This product is meant to aid the user with different kinds of pains due to stress and other causes. These include but are not limited to helping the pain related to sore legs, sore muscles, and spasmodic cramps. This product is also used to provide some relief from RLS or restless leg syndrome. This product can act as sleep aids and help its users with a good night’s sleep. You should stick to a routine while taking the supplement in order to maintain and regulate the magnesium levels in your body. You should take 1 medicine, every night, just before going to bed so that the supplement can act properly throughout the night while you rest. Our volunteers have reported some symptoms of dehydration, such as dry throats and thirst after using this product. Others have reported cases of diarrhea, as it is a common side-effect of magnesium supplements. Price $19.97Prices are accurate as of April 21, 2019 at 04:44 AM. Product Prices and availability are subject to change. Any price and availability information displayed on Amazon at the time of purchase will apply to the purchase of any products. Pure Vitality Minerals was established by The Online Connection to address the need for 100% pure and natural supplements in the market. There are various magnesium oils and related products in the market that contain magnesium chloride extracted from the surface of brine lakes. These sources can contain anything from 40,000ppm sulfates to organic manure from animals. This isn’t the product, which one should choose to apply on their skin. Pure Vitality Minerals magnesium oil spray has been purified to such an extent that you can take it orally and also use it on the external parts of your body. Each packet of spray contains approximately 115 mg of magnesium, which is a lot more than any other brand can claim. With this, you’ll have to use fewer sprays a day and spend less time rubbing it on your body. This MgCl2 isn’t only recommended by the doctors but also used in the hospitals for treatment when getting a dependable result is absolutely essential. This spray is highly purified & comes in a large size, as well as having a long shelf life. It’s completely safe to consume or just apply directly on the skin or teeth, for comprehensive benefits. 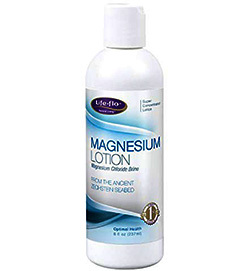 This magnesium lotion can relieve aches and pains from muscle spasms, premenstrual cramps, and others. This product can work to control restless leg syndrome, help with some sleep-related issues and from migraines. This product can be taken both orally and topically. For Oral intake, spray this product 3-5 times in a glass and mix in water or fruit juices of your choice. Then proceed to drink this mixture once a day. Apart from that, you can apply 3-4 sprays directly on the sole of your feet and under the armpits as an effective deodorant once a day. Additionally, you can apply this spray onto the painful areas in order to ease the pains when necessary. Cases of skin burn, redness, irritation, on and itchiness of the skin have been reported by several users. Price $7.29Prices are accurate as of April 21, 2019 at 04:44 AM. Product Prices and availability are subject to change. Any price and availability information displayed on Amazon at the time of purchase will apply to the purchase of any products. Life-flo was founded in 1995 to provide everyone with the most advanced natural products. Life-flo invests a large amount of time, searching around the world, to bring you the best products directly from the nature. Life-flo incorporated some time-tested formulae from their latest discoveries to provide natural and scientifically created products. They engineered one of the first progesterone creams (Progesta-Care) from natural ingredients as opposed to the synthetic creams that available in the market. They are leading the industry with the manufacturing of cosmeceuticals. They market their products mainly through the different American health-food channels throughout the entire export market. This lotion is a convenient way to treat joint pain or general muscle discomfort, with a potent formula & a hydrating solution. Expect soft, supple skin & calmed muscles with this lotion. This lotion works well to hydrate and soothe the sking. It can also help you to relax your muscles and joints, easing aches and cramps. Apply directly onto the skin twice a day, in the morning after waking up and at night just before going to bed. Take a dash of the lotion onto your palm and rub it together before rubbing it onto the skin at the necessary zones. Repeat as necessary, covering any and all the areas that need special attention. Users have suffered from irritation, redness and discomfort on the skin in various cases. We advise caution while using it and try it out in only a small area of your skin to check for allergic reaction. If any such reactions occur, discontinue using immediately. Price $27.17Prices are accurate as of April 21, 2019 at 04:44 AM. Product Prices and availability are subject to change. Any price and availability information displayed on Amazon at the time of purchase will apply to the purchase of any products. Zhou Nutrition believes that everyone is innately great. This greatness comes to them naturally – whether they’re athletes pushing their limits or maybe some new parents, pushing the strollers. You might be a student training your mind or the guy hitting the gym. It doesn’t matter where you stand right now at the journey of life, Zhou Nutrition is there to create solutions to help you all reach your destiny. Situated at Utah’s Mountain Range, Zhou Nutrition is a small team of researchers, dedicated to becoming more than just a company. They want to be your partner on your journey to the greatness. They want to be that friend to cheer you up during a hard trial. They are always there to offer you high-quality nutritional products and be a support team, which will make you keep returning for more. This supplement is great for those who struggle sleeping, or if you tend to suffer from muscle pain. The potent effective formula targets enzymatic function & holistically improves the body. This product will increase the muscle recovery rate and accelerate repair. It is proven to improve sleep quality, and reinforce the bone structure and density and promote a healthy heart. Take two tablets per day with a glass of water. Make sure to take these supplements on a full stomach or after a meal. This product is known to cause cramps, diarrhea and nausea. Among the other digestive issues, it can leave the user feeling bloated with an upset stomach. This product has also been observed to decrease the heart rate of some volunteers. Whether you are looking for some great supplements for bringing back your magnesium levels back on track, or just looking for different magnesium products tailored to address a specific health issue that you’re having, you won’t go wrong with these products on our list. However, it is always advisable to stick to the directions and take special heed of the advices in the general section. And as always, you should always be aware of what you are taking and their benefits and possible side effects. So, we have tried our best to include everything to address any and all questions that you might have. If we’ve missed something on this article that you believe might help other users as well, feel free to share in the comments section below. We wish you a healthy, happy day and hope that you are responsible in taking these supplements.